If bones give your body support, muscles give it power. You have over 600 muscles in your body. Some of these muscles control big movements, like the muscles in your arms and legs. Other muscles control very tiny movements, like blinking. Most of your muscles are attached to bones with tendons. Tendons are like strong rubber bands or ropes. Inside the muscles are blood vessels and nerve endings that get messages from your brain. Sometimes your muscles get tired. They might ache or feel weak. If you work them a lot, they might cramp. Cramps hurt, but they go away after you rest or stretch. Voluntary muscles are those that you choose to move. You use your arm muscles to pick up a toy. You use your leg muscles to kick a ball. Involuntary muscles are those that you can’t control. Your heart is an involuntary muscle. It beats without any help from you. It pumps blood faster when you’re active. It slows down when you slow down. The muscles in your digestive system move food through your body. Working your muscles makes them stronger. All About Human Body Muscles: Working your muscles makes them stronger. A video explaining the 3 types of muscles and how they work. Question: Can muscles grow larger or smaller? Answer: Some muscles, such as those in your arms and legs, grow larger if you exercise them and become smaller if you don’t. Question: How can I take care of my muscles? Answer: You can keep muscles healthy by eating plenty of protein and good food every day. Stretching before and after you exercise can help. And don’t forget to exercise, of course. Enjoyed the Easy Science for Kids Website all about Human Body Muscles info? Take the FREE & fun Human Body Muscles quiz and download FREE Human Body Muscles worksheet for kids. For lengthy info click here. Declan, Tobin. " 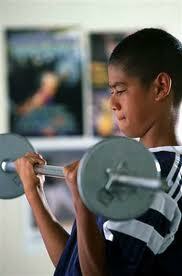 Muscle Facts for Kids ." Easy Science for Kids, Apr 2019. Web. 26 Apr 2019. 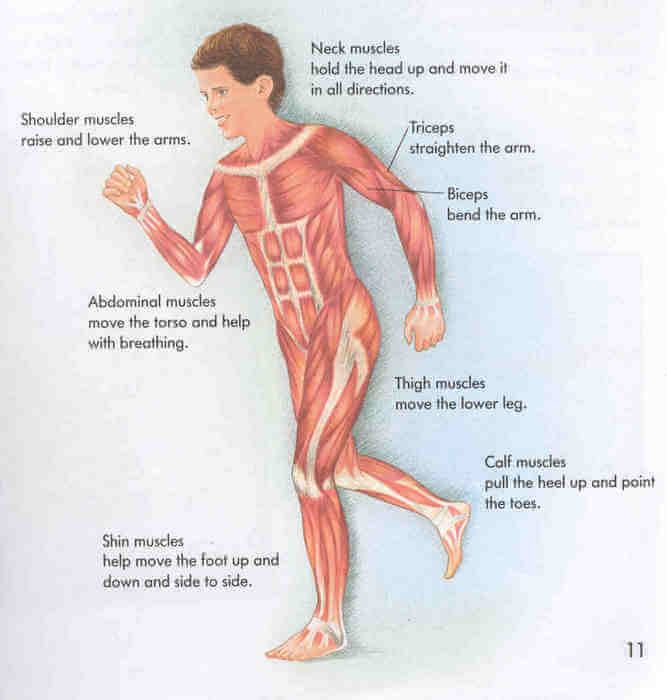 < https://easyscienceforkids.com/all-about-human-body-muscles/ >.